Did you know that heating and cooling require the most energy usage in a home? Therefore, it is worth considering the amount of energy that is wasted in your home on a daily basis. The first things people think of when it comes to energy efficiency is turning off lights in empty rooms and unplugging unused charging devices. Even though these method have a positive effect on the monthly bill, simple extra decorative features in the home can help too. Shutters can be a great alternative for daily extended uses of air conditioning and heating systems. Due to dust, germs and allergies, curtains are just not an option anymore. In the past, wood outdoor shutters were used in houses in many countries. Throughout the years indoor shutters like California shutters began gaining popularity among home owners and interior designers. Shutters were used to ensure insolation, sun protection and block cold winds coming in the house. As modern heating systems were created and window designs improved, shutters are now mostly placed for decorative purposes. However, shutters still offer the same functionalities they did back then. In this day and age of technology growth and high energy bill prices, people try to find additional methods to be more energy efficient and lower monthly fixed cost to save extra cash at the end of the year. Buying additional features for the house like installing shutters, can really tackle certain fixed cost. Read on to find out what shutters can mean to you in energy saving. Heating and cooling down the home boosts energy consumption. Having good window coverings installed and simply closing them during the winter minimizes cold winds from entering the building. During the summer, shutters can be used as a filter, keeping out harsh sunlight rays from getting inside the house. There are two types of shutters, Interior and exterior shutters. Interior shutters are installed inside the house,whereas exterior shutters are installed outside the house. Nowadays exterior shutters act as a decorative material. They are somethings installed to stay open and not closed. Both interior and exterior shutters are a great treatment for energy efficiency. Most shutters are created with a radiation barrier todecrease heat gain. Windows tend to have a greenhouse effect in the home during hot summers. When sunlight rays shines through them it turns your how into a heating space, making your home much warmer during the summers and causing you to turn on air conditioning to full blast. Closing the shutters in the evenings minimizes heat lost as shutters are good temperature regulators. Whenever your home becomes too warm, you can adjust that by not opening the doors as this causes heat loss, but simply opening the shutters. Keeping shutters closed during cold winter periods helps to keep the heat inside the house. Having shutters installed the house does not replace air conditioning or heating systems. It acts as an additional method of efficiently use the systems. A lot of heat is lost due to poorly insulated windows. Shutters acts as an extra barrier to prevent this from happening. 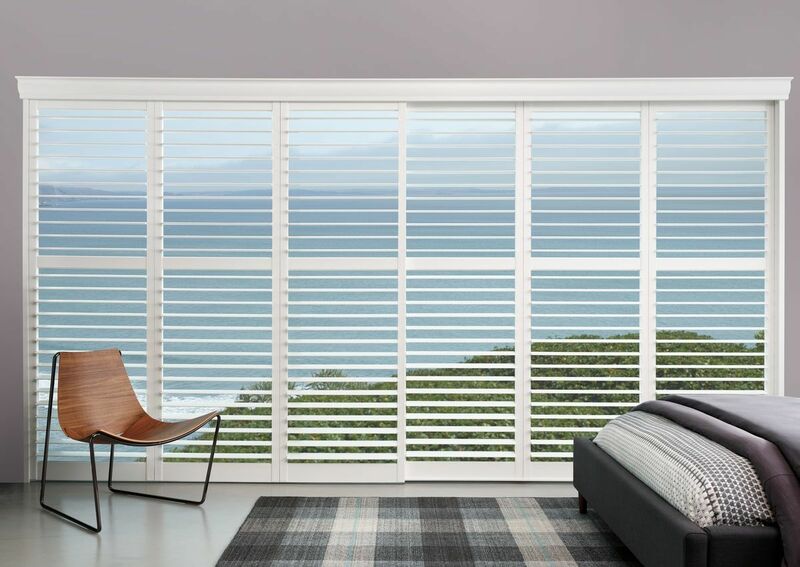 Shutters offer privacy, weather protection, acts as a barrier and are attractive. Cadillac Window Fashions has been servicing homes in Toronto and the GTA for over 30 years. We strive to make all of customers happy by providing custom shutters that are crafted to fit any style you are trying to achieve. All of our shutters come with our full satisfaction warranty. So what are you waiting for, contact us today!